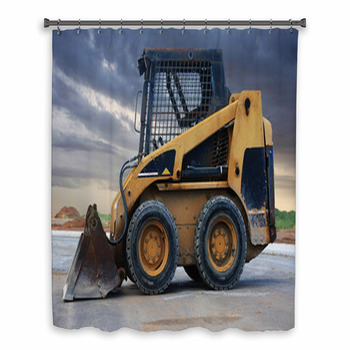 Whether he is five or fifty, give the tough guy in your life a special treat by decorating the bathroom with a set of construction bath decor. 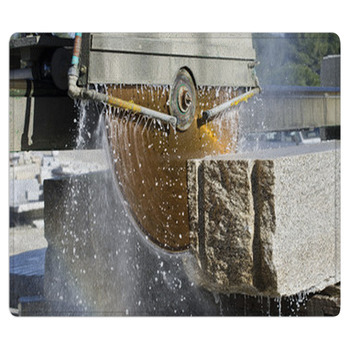 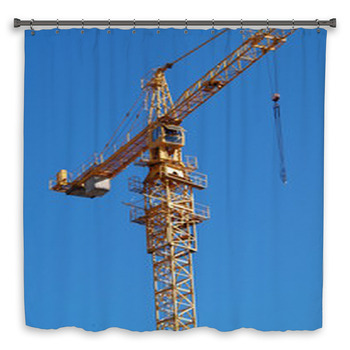 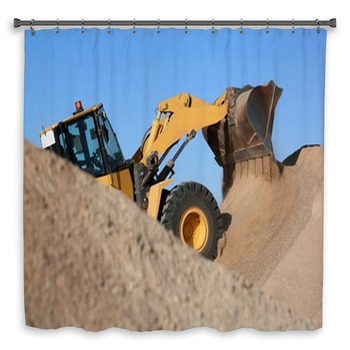 Modern construction is all about machines, and we have construction shower curtains that display the biggest and most powerful of these colossal vehicles. 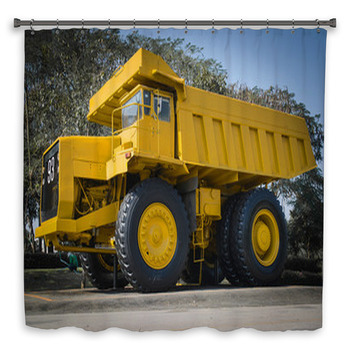 Your man will adore shower curtains featuring a massive and dirty yellow construction dump truck at a work site, rolling along on six huge black tires with yellow rims. 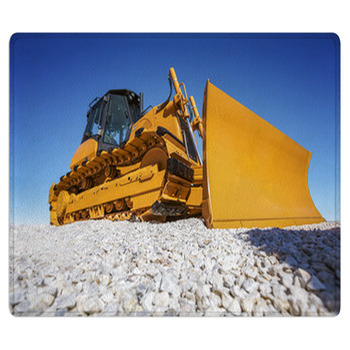 Another mean machine sure to impress any guy is a tractor drill, with its conveyor belt wheels sliding around to position its incredible drill that burrows straight into rocky ground. 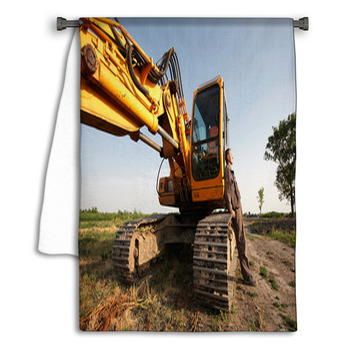 And of course the bulldozer is an essential part of any major construction job, so choose construction shower curtains showing a classic yellow bulldozer plowing its giant toothed shovel through gray dirt under an orange and red sunset. 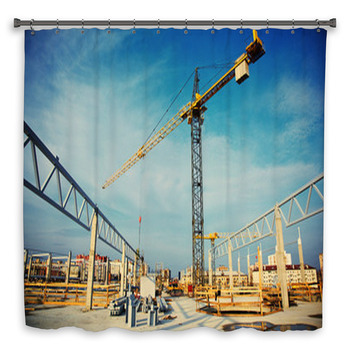 The greatest thrill of construction work is being suspended by thin girders hundreds of feet in the air. 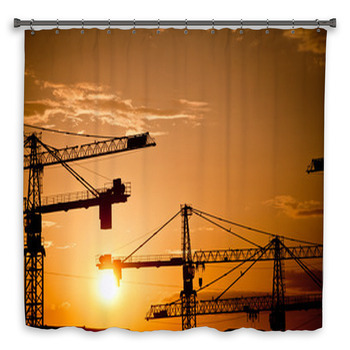 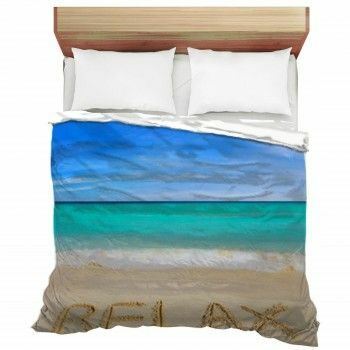 Capture the rush of the danger of building the upper stories of skyscrapers with a custom towel displaying the image of two silhouetted construction workers amidst a gigantic sprawl of steel beams, towers, wires and cranes as they work on a new addition to a big city skyline. 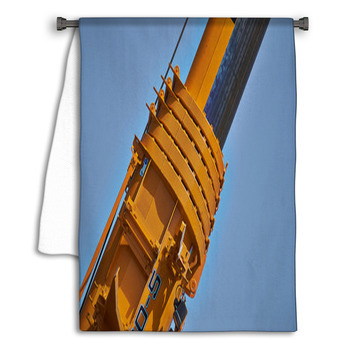 Like mechanical dinosaurs, construction vehicles are beloved by kids and they can even use this as their own wall art. 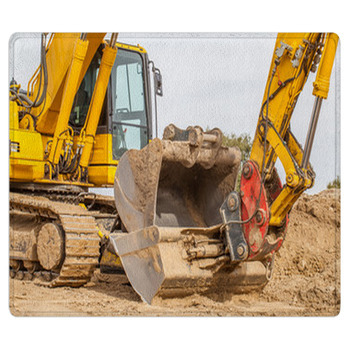 So give your kid a bath mat with the photo image of two backhoes, one yellow and the other orange, breaking ground at a construction site. 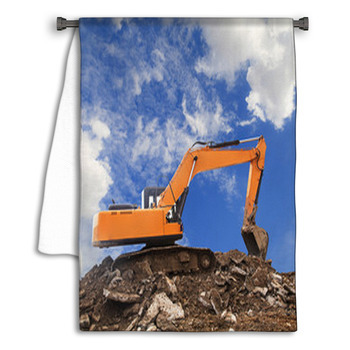 And you can even give your kid the sense of being a part of construction work with a bath mat that combines the black and white slanted stripes of a construction site sign with a blank space to add your kid's own name.